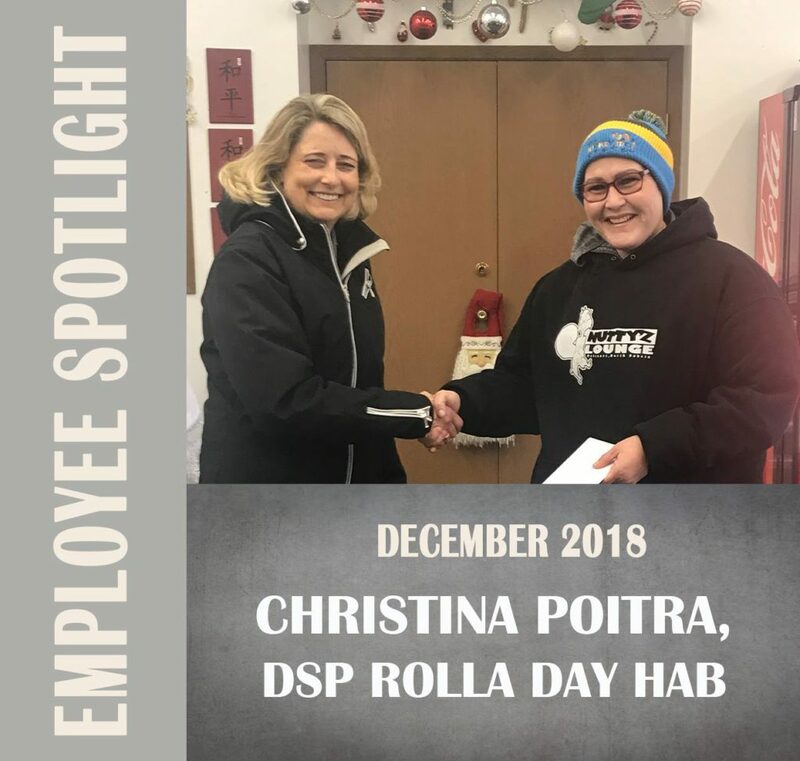 Congrats to December’s Employee Spotlight, Christina Poitra. When a new person enrolled in the Rolla Day Hab program several months ago, Christina worked hard to get to know him through research, creativity, and encouragement. Christina used the principles of Active Support to encourage him to participate in his daily routine. He now responds to verbal prompts, reaches for objects, and pushes buttons! Plus, she ensures that he exercises every day with his adaptive bike.